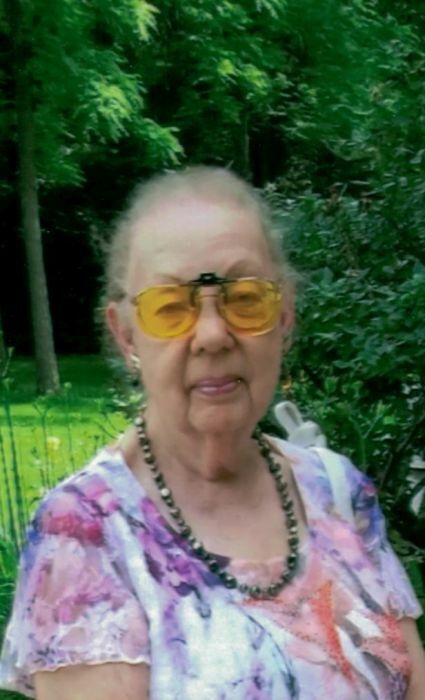 Anna Mae Wolfrum, 82, of California, MO, died October 24, 2017 in Jefferson City, Missouri. Born September 8, 1935, she was a daughter of the late John and Nell Barnes. She was united in marriage to Larry Boyd Wolfrum January 19, 1957. She was a cartographic draftsman for many years in Kansas City, Missouri. Ann was a loving grandmother and loved her cats. Besides her husband of 60 years, Larry Boyd Wolfrum, Ann is survived by a son, Dale Wolfrum (Elena) of Florida; a brother, Robert Barnes of Alabama; 2 grandchildren, Andrea Walker and Stephanie Sansone, and 4 great-grandchildren. Besides her parents, she was preceded in death by her grandson, Christopher Wolfrum. Visitation will be held at Phillips Funeral Home, 211 S. Oak St., California, MO, Saturday, October 28, 2017 from 11:00 to 1:00 PM followed by a funeral service at 1:00 PM with Rev. Collette Jones officiating. Burial will be in Evangelical Cemetery, California, Missouri. Memorials, in her memory, may be made to the Evangelical Cemetery or the California Nurtrition Center.